With an estimate of more than 10.000 temples in Bali, you will not have to walk far to find a temple no matter where in Bali you are staying. Among the 10.000 there’s everything from tiny shrines to big temple complexes and the diversity is among Bali’s temples is huge. Watch the thousands of bats resting in a rock cave at Pura Goa Lawah, at Pura Tirta Empul you can experience whorshippers purifying themselves in the temples large pool, get that perfect photo at Pura Ulun Danu Bratan or enjoy the magical sunsets at Tanah Lot or Pura Luhur. The temples listed below are among Bali’s most famous and popular temples and all worth a visit, but there at plenty of other temples to see. It can be just as interesting to visit some of Bali’s less visited temples, where you can soak in the atmosphere without the buzz from other visitors. Tanah Lot is Bali’s signature temple. Nestled on a small island of the coast, it’s only accessible at low tide. The Tanah Lot temple is Bali’s best known temple. Its claim to fame in large part comes from it beautiful location on a small island just off the coast. Especially at around sunset the temple is the perfect motive for that postcard like photo. Tanah Lot gets crowded at around sunset, especially in high season, so you should be prepared to share the views with other sunset enthusiast. If you prefer to watch Tanah Lot without the crowds, try to get there before noon. The Besakih Temple is Bali’s largest and most important temple. More precisely it is a complex of 22 temples. The temples are situated on the slopes of Mt. Agung, Bali’s largest volcano at the village of Besakih. All of the temples in the complex serves a different purpose and are an impressive site. The Pura Penataran Agung in six levels is the largest, most impressive and most important temple in Besakih. Sometimes some very pushy vendors trying to sell you guided tours can make the experience less enjoyable, therefore it can be a good idea to visit the temple early in the morning or late in the evening when things tend to be more quite. Another tip is to wear some good shoes as you need to climb some stairs to fully explore the temple grounds. Perched on the cliffs at the Bukit Peninsula’s most southwestern point, Pura Luhur ranks high when it comes to dramatic locations. You can enter the temple grounds, but you need to be Hindu to enter the small inner temple. However, the highlight of Pura Luhur temple is the temples spectacular location on the edge Uluwatu’s towering cliffs leading down to The Indian Ocean. The views are extra spectacular at around sunset, where Kecak dance performances usually are held at the temple. Be aware of the monkeys around the Pura Luhur and hold on to your belongings, as they seem to have liking for sunglasses and other loose hanging items. One of Bali’s most important temples where worshippers purify themselves in the temples holy water. Pura Tirta Empul or The Temple of Holy water is located about 20 km northeast of Ubud. The temples name comes from the the sacred spring that flows at the temple. Pura Tirtal Empul has shrines to honor Shiva, Vishnu, Mt. Batur among others , but the main attraction of Pura Tirta Empul is the large rectangular pool carved of stone where twelve fountains pour the holy spring water into the koi filled waters of the pool. Worshippers from all over the island visit the temple to pray and cleanse themselves in the pool and it can get very busy around important religious holidays. When it comes to picturesque temple setting, it does not get much better than Pura Ulun Danu Bratan. Not far from Bedugul you find Pura Ulun Danu Bratan. Located in a fairytale setting between mountains on the shores of Lake Bratan, Pura Ulun Danu Bratan is the perfect photo opportunity, so do not forget your camera. The temple is dedicated to the goddess of waters, Devi Danu. If you are lucky you might experience a ceremony held to ensure the water supply to the Balinese farmers. Next to the temple there is something that resembles a mini zoo where you can hold a snake or a bat. A very important temple to the Balinese, while most tourist mainly come here to see the thousands of bats within the temple. 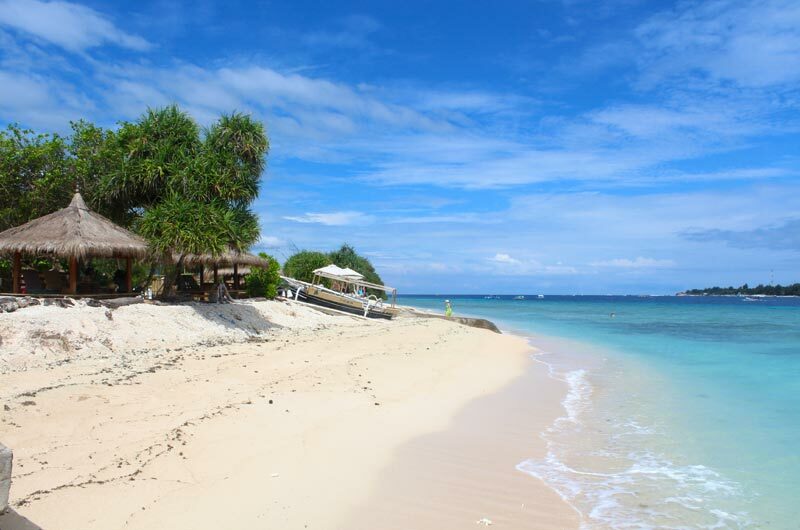 Near Klungung, just west of Candidasa, is where you find Pura Goa Lawah. The temple itself isn’t among the most impressive temples in Bali, but it is none the less very important to the Balinese. The main attraction isn’t the temple itself, but the cave in the cliffs that the temple has been built around. The cave is packed with thousands of bats resting on the caves walls. The bats usually stay quite during the day, so even if you are not that fond of bats you do not have to worry about entering the cave. Taman Ayun means beautiful garden, a name that suits perfectly, as the temple’s beautiful tranquil garden is one of the major attraction of Puri Taman Ayun. 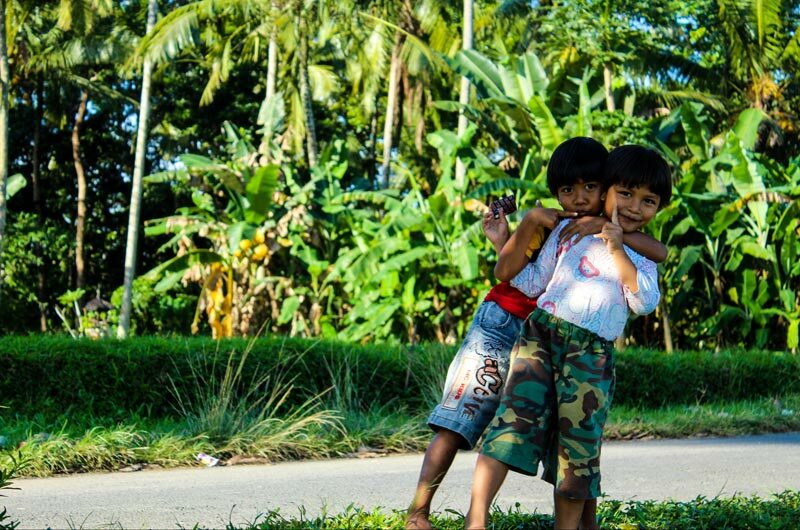 Taman Ayun is located in Mengwi about 10 km northeast of Tana Lot. You enter the Pure Taman Ayun by crossing a bridge over the moat the surrounds the temple grounds. Once inside you can enjoy the tranqulity of the the well-kept garden with small ponds and fountains. Paved footpaths leads you through the garden and the temple complex which cosists of three courts and about 50 shrines and pavillions with characterics terraced roofs. Taman Ayun was added to UNESCO’s List of World Heritage Sites in 2012. Located in a jungle like setting in the eastern part of Ubud’s Monkey Forest, this temple could have been a location in an adventure movie from the 80’s. The shady trees that surround the Pura Dalem Agung – The Temple of Death, the moss covered stone carvings and the monkeys that inhabit the forest gives the temple an ancient feel. The atmosphere around the temple is not as scary as its name could indicate, but if you look closer at some of the stone carvings you’ll see small children with fangs. If you plan to enter a temple, please show respect for the local customs and dress accordingly. In general that means legs should be covered and a top that isn’t too revealing should be worn- a t-shirt will do. At some temples a sash is also required. If that is the case you can usually rent one at the entrance, like you often can rent a sarong for covering up your legs. 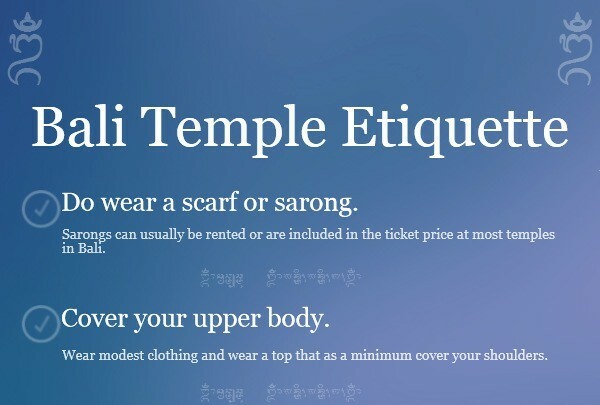 See our post on temple etiquette.